Bring your Scheme of Work to life! The traditional topic of House and Home can be... dry, so the ShelterBox Spanish Challenge takes an age-appropriate look at this theme, encouraging a creative voice for year 8 Spanish students, or even year 9 beginners, through a powerful and engaging theme. The ShelterBox Spanish Challenge is a national competition which is now in its second year, bringing Spanish language together with real life issues. This is not just for students in Devon but to get students across the country thinking and using language creatively! "My students were completely engrossed in their ShelterBox project and it really helped them develop lots of complex grammatical structures which they still use in their work"Angela McOwan, Launceston College. The competition brings together really useful language (vocabulary, grammar and genuine communication) and can be run at any time during the academic year before the final deadline of Wednesday, 21st June, 2017. How long you and your students decide to spend on the project is entirely up to you! It really is designed to make your life as easy and effective as possible. could be a video, an animation, a presentation, etc- whatever you want! The competition is run in conjunction with ALL Devon- supporting language teachers across the region, but is open to schools everywhere. include 10 - 15 items per ShelterBox- the items that you feel victims would need most in the aftermath of a disaster in these conditions. include a justification of WHY you think those items would be the most important to not only help them survive but also to start to rebuild. However, the ideas must also be workable and be able to fit in a box- so a tent would be more workable than a pop-up 3 bedroom house! be in a visual digital format. It could be in a video, an animation, a presentation- however you want! creative- both in terms of the language used and the ideas and presentation method. Remember, you will need to submit the best entry from your school. Why not make the most of the competition to really boost the profile of the department. run an assembly about the competition? get parents, teachers and even the local community to vote for their favourite? get SLT to judge the event in-school? When payment is received you will be invited to the school's specific Dropbox folder which the chosen entry in your school should be uploaded to by (and preferably before) the closing date. Within your DropBox folder you will also receive a vocab mat and resources which can be used to support students with their project. The fee for involvement will be £30 per school. £10 of this fee will go directly to ShelterBox. ALL Devon reserves the right not to award all 3 prizes if the quality of entries is not deemed suitable. If there are less than 8 entries only one prize will be awarded. If there are less than 12 entries only two prizes will be awarded. 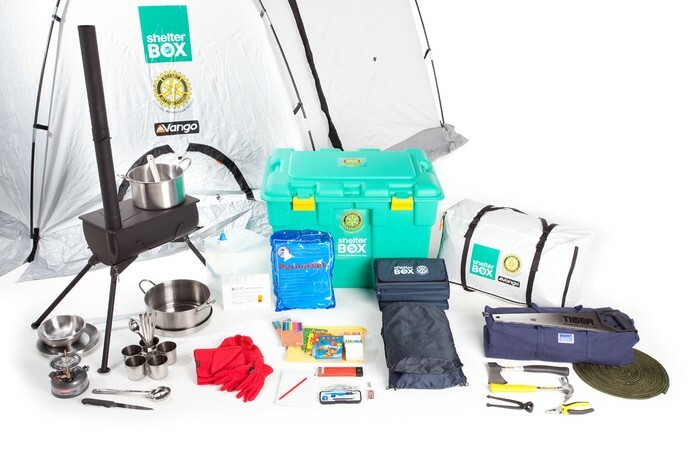 ShelterBox is a charity based in Cornwall who provide disaster relief all over the world in the form of a box. A ShelterBox. The box provides emergency shelter and lifesaving supplies for the victims of disaster across the planet. Helping those people who need support most rebuild their lives. In the 12 years since the charity was founded ShelterBox has responded to over 200 disasters and looks to support up to 50,000 families every year. Schools do not all have to complete the challenge at the same time- when you're ready, submit your school champion's digital ShelterBox designs! The closing date for entries will be Wednesday, 21st June, 2017.